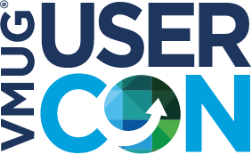 The annual Melbourne VMUG UserCon takes place this Thursday, 25th February. It’s also an important day for me as it’s my wedding anniversary. I know which one my wife is more interested in! But, for the IT community in Melbourne all eyes will be on the VMUG. This years event has moved location from the old Hilton on the Park to Crown on Southbank. I think this is a good move and makes the VMUG even more accessible than in previous years. Last years guest speakers were excellent with Chad Sakac, Vaughan Stewart and John Troyer and this year it’s been lifted another notch again. This year the enterprise IT giants include Scott Lowe (@scott_lowe), Keith Townsend (@CTOAdvisor), Brad Tompkins (@VMUG_CEO) and my own personal IT hero Chris Wahl (@ChrisWahl). There’s also going to be vBrownBag sessions being hosted by Alastair Cooke (@demitassenz). If you’ve been following twitter you’ll have seen that Scott’s been having issues with flights and has had United basically crap all over his plans. Hopefully things work out for him and he can make it on time to the Sydney VMUG on Tuesday 23rd but it looks like it’ll be a close call. I wish him safe travels from here on. VMUGs are all about the community. It’s the primary reason it exists and we’re incredibly fortunate to have the organisers volunteer their time to put on such a great event. Melbourne has some of the finest at its helm and that has been recognised globally. If you haven’t attended before I’d highly recommend fitting it into your calendar. You’ll be glad you did and your employer will be glad you did too. It’s really worth getting to the keynotes at the UserCon as unlike keynotes at other events they are not strictly vendor focused and they can provide some real insight into your industry as a whole and even your career path. But the main focus should be the community speeches. Hearing from others out in the field about the trials and tribulations they’ve had with specific technology is where the real learning takes place. These contribute a shorter part of the agenda and it’s something I’d like to see more of in future events but I also appreciate that it’s hard to get speakers for such sessions. For me this year that’ll be my focus outside of the keynotes. There are a number of vendor based sessions as well throughout the day that delve into new technology . Unfortunately the community sessions clash in times but if they didn’t I’d attend the following. As I can only be in one place at one time I’ll be at the Chris Wahl session. How, if at all, do my short-term and long-term career goals need to change. It’s going to be an action packed day but there’s also loads of time to interact with the vendors at the booths and find out more about new products/technology. I’d recommend reading Anthony Spiteri’s post about the Melbourne VMUG as well. He mentions that Melbourne is the spiritual home of virtualization in Australia and I agree with him 100%. I’d also recommend following him on twitter at @anthonyspiteri as he’s a multi-vExpert and is active in a number of technology communities. There’s some really great content on his blog also at Virtualization is Life. The last thing I’d recommend is downloading the VMUG UserCon Mobile App for your phone. It can be found on iTunes App Store or Google Play. It’s been updated this year and also included a handy twitter feed within the app so you can keep up with what’s happening in the run up to event and on the day itself. This is a nice little addition to the app. They’ve also enabled the capability to take notes directly into Evernote which will also make things easier as you quickly take notes during the events. Normally I just scribble notes on a piece of paper and re-arrange them later in Evernote but this year I’ll give the app a try. This entry was posted in VMUG, VMware and tagged Community, MVMUG, UserConn, VMUG, VMware. Bookmark the permalink.